[box]While we champion all aspects of mentoring here at Over My Shoulder Foundation we do not shy away from the sobering gravity of individuals that are existing in the depths of despair. By sharing stories like our feature today and the story of a reformed heroin addict we aim to give hope to the hopeless. Because that’s what mentoring does. 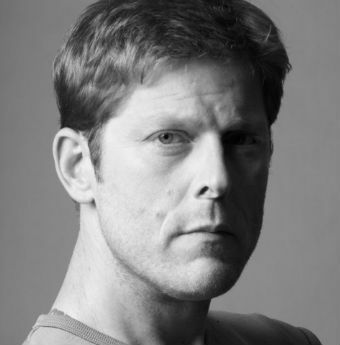 Today Arno Michaelis, speaker and author of My Life After Hate, shares his story in tribute to the woman that gave him hope to borrow. One woman changed the ENTIRE course of his life through a mentoring moment at a fast food joint. CNN calls his 4-minute story “Inside a Life of Hate” when recounting 7 years of his life as a white supremacist. “I’ve beaten people and left them for dead” says Michaelis. In that life, he says “there is no room for happiness, there is no room for joy.” This monstrous life was transformed with that woman’s mentoring into an inspiring mentoring story for us all. The thing is, mentoring doesn’t have to be a long drawn-out process that spans weeks, months and careers. Mentoring can be accomplished in a moment. Every little effort to spread the power of mentoring is energy well-spent. 5 minutes was all it took for Mentorology to turn an extremely racist man into a force of change who mentors others in the practice of embracing diversity and gratitude. Countless people have been inspired to live more compassionately after hearing this story. Our paths crossed during a time in my life when I radiated hostility, especially towards anyone with a darker complexion than mine. You demonstrated the courage necessary to respond to my ignorant, fearful aggression with compassion—from behind a cash register at McDonald’s. Today I share this ongoing process of learning and growth. Over the past three years, I have had face-to-face contact with over 7000 people, and exponentially more via media worldwide. A nonagenarian black man once told me that I gave him hope. An eleven year-old Latino boy told me he could see how bad I felt for hurting people and that he felt sorry for me. Gay men and Jewish women call me brother. Countless lives were involved leading me to where I am now, and countless people have been inspired to live more compassionately after hearing my story. Nowlets imagineif Burger King had aebsite called “365white” Would that b racist? Great tribute to a loving person. We never know how our words affect others. Thank you for sharing your story of hope and compassion. A story of how simple kindness can make a world of difference. It is beautiful. You are a beautiful soul! I am a girl scout leader working on a “Girltopia” Journey with my Senior Troop (part of their work towards their Gold Award). Stories like these are imperative in their growth towards recognizing the impact they can have in the world. Your attitude in the smallest of gestures, the humblest of places, can change the world.